What a huge question, but I guess at the core of it this is something that sort of impacts every single action we take. Everyone that meets me has an impression and that is how that individual will know me. I spent a lot of years obsessing over this idea that I needed to shape every person's view of me. I struggle a bit each time I write a blog post to try to craft the way I want to represent myself to you. I would like to do a little less worrying about this. 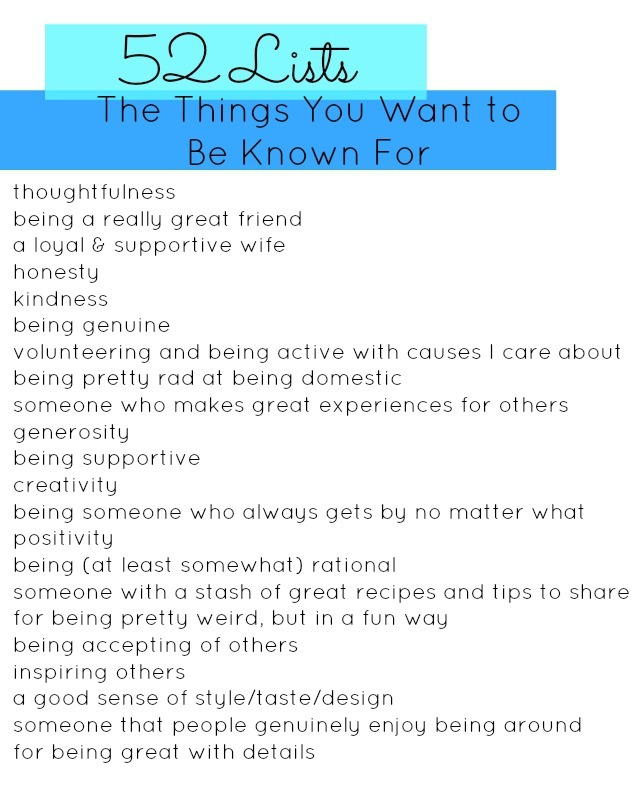 This is a lovely list because it is a nice reminder that these are things that I already have inside me and I just need to work on living my life more authentically rather than meticulously worrying about others views. I may not be known like this by every single person I meet, but I just want to try to have as many positive interactions as I can and I want to always be working hard to be myself and live my values for the people that I love most. this was lovely :) I wish you great success! this is lovely. I never thought about this before and it's intriguing to wonder. Thanks for sharing! !